New Beach Restaurant was Open in 1999 as one of the first full service restaurant close to the shore of Victory Hill. New Beach Hotel was found in 2003, serving its first customer on the 16th of January. New Beach Hotel, located on Phé street, Victory Hill, Sihanouk ville, Cambodia. New Beach Hotel was one of the first few full service hotel. 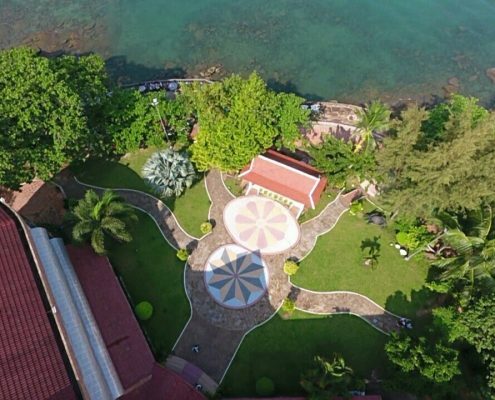 Located right on the harbour front with 220 degree views of the coastline beach of Victory Hill. After more than 15 years in the industry, and experience, we are still proud to serve you with the high quality products and services to our clients including corporate, and government, and NGOs. Not limited to Seminar, Training, Leadership, Team Building, Product Launching, Training & Outing, Gathering / Reunion, staff retreat, Annual party, Gala dinner, BBQ dinner, buffets, etc. Our staffs are professionally trained in house, as well as by private institutions. With more and more competitive market, we still strive to be stronger and better and to be customers top choice in conference service. 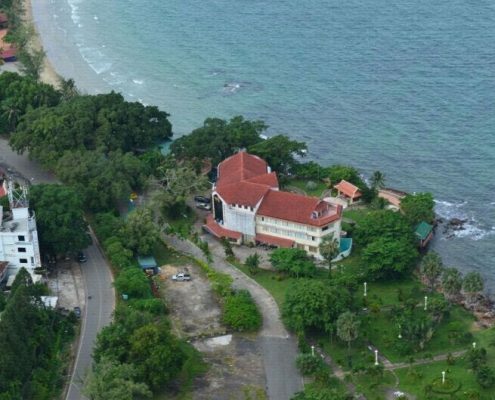 New Beach Hotel aims to be first market leading and economical conference service provider in Sihanouk ville and expanding to the local and regional in the soon future.